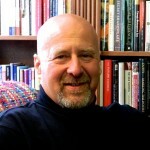 Visit Fr Longenecker’s blog to read his posts, listen to his podcasts, browse his books and be in touch: dwightlongenecker.com. 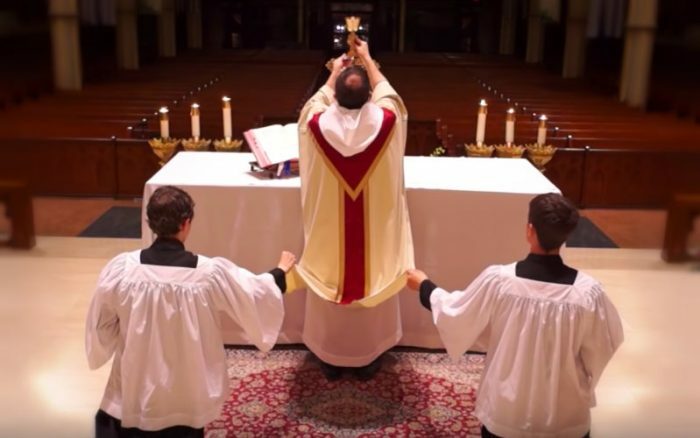 Boys, before we get down to particulars, I want you to know why we have altar servers at all. Do the deacons and I need you to bring the bread and the water and wine to the altar? No, we could do that ourselves. Do we need you to carry candles and the cross and hold the book? Not really. The priest is supposed to extend his hands in prayer, so he can’t hold the book, but we could just put it on the altar. Do we need you to ring the bell and turn the page and wash our hands? No. We could do all that without you. You’re not really employed to be useful. You’re employed to help lead the worship. As long as you understand that, everything else that we teach, you will follow. You see, all of us work together to lead the people of God in the worship of God — it’s not just the priest and deacons. I rely on you not just to do those particular jobs. Instead, I rely on you for something far greater and nobler and more beautiful and more true. Our worship on earth reflects the worship in heaven. What we do here at the holy sacrifice of the Mass is a kind of distant echo of what goes on in heaven. There, the Lamb of God is offered in one timeless and eternal sacrifice. There, the saints and angels worship around the throne of the Lamb. In that city there is no sun, moon, or stars, for the Lamb Himself is the light of that city. This altar you see here is a reflection of the altar in heaven. Do you see the mosaic of the lamb on the front of the altar? That is because in heaven, the Lamb is on the throne, and here, the altar becomes his throne. The chalice in the mosaic is a sign of the eternal Precious Blood of the Lamb. This host is, on earth, the sign of the Eternal Bread of heaven. The priest is an icon of Christ the Lord — and who are you? You represent and reflect on earth the heavenly host. That’s right. I want you to represent the saints and angels. That’s why we have children serve the Mass if we can, because you children remind us adults of what the Lord Jesus said: “Unless you become like a little child, you cannot enter the kingdom of heaven.” So just by being children you remind us what we must be like to become like the saints and angels. Therefore, since you represent the heavenly host of saints and angels, I want you to behave as such. Of course, I know that you are not yet saints, and I know you are not angels. You fight with your brothers and sisters. Some of you are bullies and others are cowards. You lie and cheat and have bad thoughts. You disobey your parents and are selfish and unkind. Nevertheless, you have a role to play in the Divine Liturgy, because despite all that, you are called to reflect something greater. You are called from what you are not to become all that you shall be; and if you are struck with a sense of awe at what I am expecting of you, think how I feel, for I am a sinner just like you are, and I am called to represent Christ Himself to the people. Since all of this is true, this is what we are going to do. First of all, when we come into church, we immediately put on the cassock. These are your working clothes. We will serve in the Lord’s temple wearing the cassock and be like the boy Samuel who served in the temple of God with simplicity and goodness. When you move in the house of God, do so with simple solemnity. Not po-faced and pious, but also not silly and jokey. Just go about your business — remembering that you are in the house of God, a serious place for a serious business. As you light the candles, set out the books, and prepare for Mass, remember that the people in the pews are watching you. Your reverence and care and love for what you do will be communicated to them and help them to pray. Then, before Mass begins, come back to the vestry with me and the deacon. There we will put on our surplices, albs, and vestments. Then we will light the candles, charge the thurible, take our places, and wait for the Divine Liturgy to begin. When you process into church, remember that you are leading the whole people of God into the presence of God. Our little procession hearkens back to the procession of David and the priests up into the holy city of Zion. The cross will be lifted high, and you will walk with a solemn and stately posture, for you are leading all of us into the presence of the King of Kings and Lord of Lords. Know where you are going, and move there with the grace of a child and the dignity of a prince. Where you go, we will follow. As you sit in the sanctuary, remember that actions speak louder than words. You may not have many tasks to do, but did you know that they also serve who only stand and wait? Simply by your presence, your reverence, your listening to the Word of God with an attentive ear, you will help to lead the worship and encourage those who see you. When you have a task to do, do it with simplicity and confidence, as befits a servant of the King. Remember: If you are sloppy and casual in your attitude and your posture, that will be communicated. It will distract people from Christ toward you, and the Mass is not about you any more than it is about me, the priest. Remember that what we do at Mass is the most important thing in your life. Everything else comes after that. Seek first the kingdom of God, and everything else will be added to you. Here at Mass, you are seeing that beauty, truth, and love are the three most important treasures on earth, and they are three things you cannot buy. Furthermore, while they are most precious, they are also (from a human point of view) most worthless. What you are doing here when you serve at Mass is not a useful thing. There is no payment. There is no reward — except the reward of knowing that your heart is right with God, and that you have spent an hour on the threshold of heaven. And if you have learned how to do that, then throughout your life, whatever else happens, you will be most richly blessed. This article originally appeared on Fr. Dwight Longenecker’s blog. Fr. Dwight Longenecker is a former Evangelical and former Anglican priest, and currently serves as a Catholic priest. He blogs at Standing on My Head. Visit his website, browse his books, and be in touch at dwightlongenecker.com.